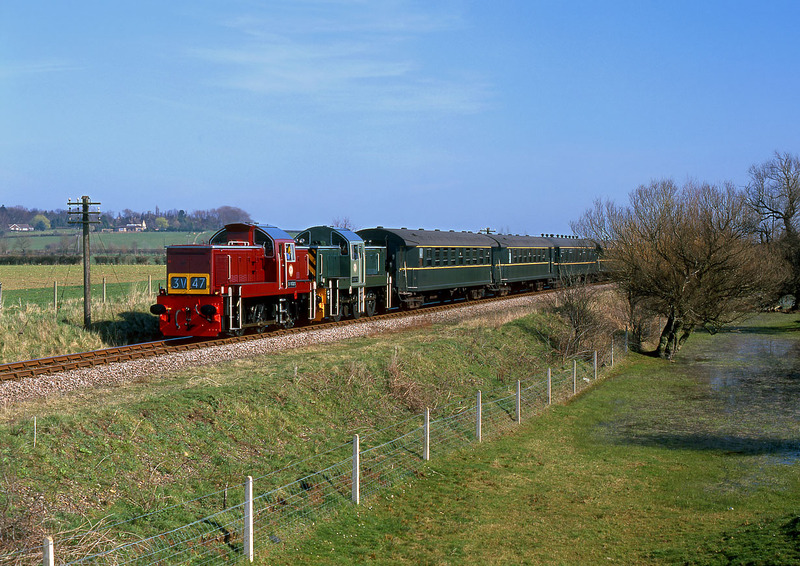 In its distinctive (if unauthentic) maroon livery, D9523 passes Castor on the Nene Valley Railway with more conventionally liveried classmate D9516 with a Peterborough to Wansford service during the line's Diesel Gala on 19 March 2000. I suppose it doesn't matter that the loco is in a fictitious livery, when hauling a train of foreign coaches! This is certainly very far removed from the type of the train the Class 14s actually worked during their short life with British Railways.